Priceline "amazons" shorts!! As advertised!!!!!!!! Four baggers everywhere!! Bottoms up for the shorts! Booked thirty more points on PCLN today, and banged the options around that I touted last week for a four bagger..and then some!! Why can't the shorts spot a bottom? Maybe it's not in their blood. Heck--even President Bush could spot 'em. How about the shortsellers? Why can't they? How about this tout on AAPL calls? Whoa Nellie!!! The Nov 210s traded at 1.79 and the 200s at 6.30. What's that---two more four baggers!!! What's a matter shorts? 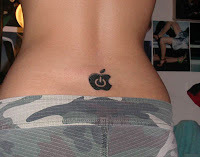 You didn't like that AAPL or RIMM bottom? Oh that's right---they were suppose dto rollover. How did that work?? So here's the bottom for Doug Kass who called the top--Since the top was the bottom! 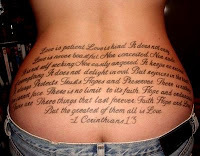 That's I Corinthians 13. On her bottom. Just throwing some your way! And how about the January AAPL calls touted? That was a double also--and plenty of time for more juice! And how RIMM? At that bottom! And how about this at the comment section? Winners and four baggers everywhere!! Oh that's right--I did forget. Shortsellers can spot bottoms. As long as it looks like this. Because pink is still pretty close to red. And that's the color of their P&Ls! is that the family picture? 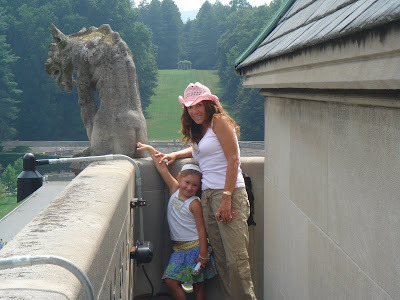 In Asheville, North Carolina, at the Biltmore. awesome! i have a one year old daughter and have another one coming!